contact lenses or glases?part 2 - . Contact lenses are nowadays preferred most, as technology has turned the unfriendly lenses of the past in easy everyday objects. As long of course, we have chosen for our eyes the right kind of lenses. They allow you to deal unobtrusively with any activity or sport you like, growing your vision more than glasses and release you from the torment of how your eyes look when you wear your glasses (e.g. very small if you are myopic, very large if you have hyperopia or presbyopia). Contact lenses now provide a solution to every refractive eye problem such as myopia, hyperopia, astigmatism and presbyopia. Read, therefore, on the kinds of contact lenses, when they are appropriate or should avoid using them, and how to care for them. 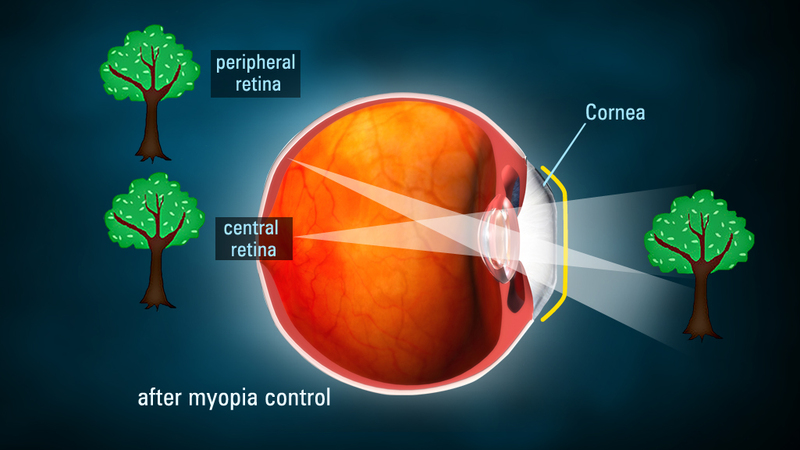 You can use contact lenses if you have moderate or high myopia (over 3 and 5 degrees respectively). 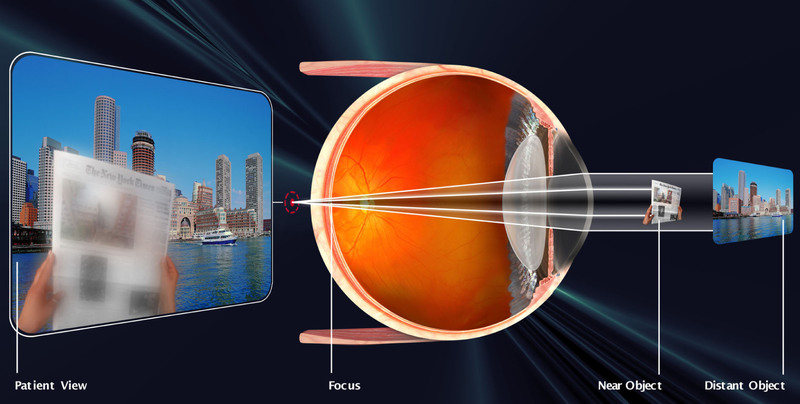 In this case, the lenses will facilitate through several activities (e.g. sports, dance), that you may avoid because of your glasses. 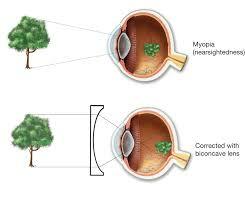 Also regarding myopia, contact lenses outweigh the glasses, because they have no magnification difference. 1. You have noticed that when you move a lens to and from your eyes, the image you see grows or shrinks accordingly. This is called growth difference. Eyeglasses, since them distal from the eyes about 13 mm, they have a growth difference, which multiplies as the degrees of myopia grow. In fact, more than 4-5 degrees difference is very noticeable and can cause eye fatigue, headaches and dizziness. On the other hand, contact lenses are contacted with the cornea, so there is no growth difference and their use is not accompanied by such symptoms. 2. In case you have moderate or high hyperopia (greater than 2 and 4.5 degrees respectively) the use of contact lenses helps aesthetically because when hyperopia exceeds 2 degrees, the eyes appear quite larger than normal size within the glasses. 3. If you have moderate or high astigmatism (over 1.5 and 2.5 points respectively). 4. If you have presbyopia. The first contact lenses for presbyopia, were released 20 years ago and belonged to the category of semi-permeable. However, since 1994 those with presbyopia have in their availability soft lenses of frequent replacement, which are considered easier to use. 5. If you have an eye disease such as keratoconus, where the outer tunic of the eye (the cornea) protrudes acquiring a conical form. In this case, with the aid of contact lenses (especially semi-soft), the cornea is pressed resulting in correcting irregular astigmatism caused by keratoconus. Generally, contact lenses are a means for correction of myopia, hyperopia or astigmatism, and in recent years they have experienced rapid development. It is an excellent remedy which, if implemented properly, guarantees better vision than the one your glasses provide you. Better vision than what glasses give because you will have a larger field of view (with the glasses is limited by the size of the frame). Better vision compared to glasses because the contact lens moves with the eye, and therefore always remains in the center (with glasses this is not the case, because you see through the center of the glasses only when looking straight ahead). 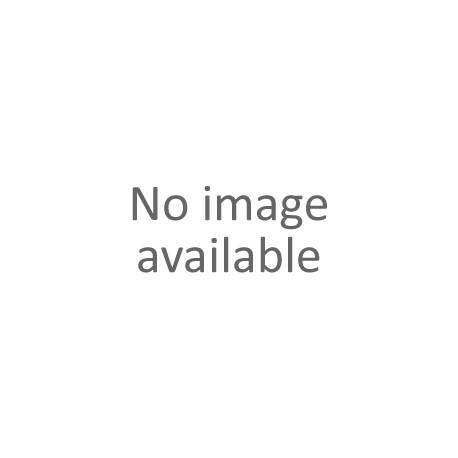 They aesthetically highlight your natural look and don’t just show two bleary eyes behind glasses. Suitable for sports or other activities in which your glasses prevent you from doing. Here the lenses extend peripheral vision, eliminating the problem of blurred glass and relieve you from the worry of breaking your glasses. They require your attention. Disadvantages from contact lenses result only from improper use. What is needed is to always clean them properly. In cases that proper cleaning instructions are not followed (and only then) infections can be created, most often conjunctivitis and occasionally others. You need to get used to them. Normally for new users, one time a week is enough to get used to soft lenses. As for semi-hard, it takes longer to adapt. Some lenses can cause eye more sensitivity to the sun. You have hyperthyroidism, unstable diabetes or advanced arthritis of the hands. The most prevalent type of contact lenses is soft contact lenses. With them we can correct myopia, hyperopia and astigmatism. Soft lenses are not all the same. The main difference these two classes of lenses have is their water content. In the first category are included the lenses that have a water content (hydrophilicity) of 38%, while the second ones have hydrophilicity of 55% to 74%. In any case, the daily cleaning and discontinuation during night sleep even those of prolonged use, ensures against infections of the ocular surface. The proper use of contact lenses includes the correct application and proper cleaning. This way you will avoid any contamination problems or discomfort that may arise from your lenses. That you have inserted them upside down. Very often, a lens can be flipped upside down, before you know it. A foreign object has entered between the lens and your eye, like a small towel fiber. Remove the lens from your eye, rinse with some sterile solution and reinsert. That proper cleaning of the lenses hasn’t been done. Remove the lenses and rinse the eye with plenty of sterile solution. Residues of soap can be transferred from your hands to the lenses and from there to your eye. Remove the lenses and rinse the eye with plenty of saline solution. Rinse it well with enough saline and try again. That you have an allergy to any of the ingredients of the cleaning fluid you used. Consult your doctor, who will determine whether this is the case and will suggest some other cleaning method.